Do I have to do the intro course first? We encourage everyone to do the intro course first up. It provides the opportunity for you to understand the Swimming Women approach to swimming. We believe learning is a continuous process that should be fun. As a result we use many different skills and drills to help you be the best swimmer you can. It really helps to learn these different drills during the course and give yourself the time and space to focus on them new before joining the regular mermaid sessions. 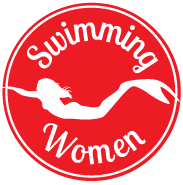 If you are new to Swimming Women the best place to start is with a 5 week introductory course. Courses are split into different skill levels so you can feel comfortable within your group, plus its fun to share new things with like people. This course is for you if you can swim more than 400m, want to improve your technique, learn new drills and training tips and check out what Swimming Women is all about. This is for you if you already swim, even if it’s a bit sporadic but would really like someone that knows what they are talking about to help you refine your stroke, provide variety in the pool and motivation. Swimming Women will help you…….learn drills to strengthen and refine your stroke whilst providing training programs to improve your fitness and endurance. This is for you if you can’t swim or lack the confidence to believe you can! You want to learn good technique, in a fun, friendly, relaxed class environment with other like minded women. want to try a proven method for learning to swim. Can I change the day I swim? When doing the introductory course you stick with your group for the same session at the same time each week. Once you have completed the introductory course you are a mermaid, and can swim in any session you like. You can swap and change sessions, days and times and even the number of times a week you swim. Its all up to you. Can I swim in Busselton and Margaret River? Yes – Once you have completed an introductory course, you are a mermaid, and can swim in any session in any location. Swimming Women are a friendly bunch and you will be welcome where ever you swim. Do you think I should get fitter before I sign up to Swimming Women? If you are wanting to start swimming the introductory course is the perfect place and depending on your fitness levels and current swim ability there is a level to suit you. At swimming women we really emphasise swimming at your pace. If you need more rest, take it. We want you to feel safe and comfortable so you have the best opportunity to learn. If you want to be pushed – we can do that too. The best way to get fitter is to get started. Just make sure if you haven’t exercised in a long time and or have any health concerns, that your Doctor gives you the all clear. I am training for an event. Can Swimming Women help me? All Swimming Women coaches have completed Triathlons, the Busselton Jetty Swim, the Rottnest Channel crossing and many other events and have a wealth of experience in preparing for them. Getting your stroke right is the first step and from there its important you train at the right level of intensity. We can help you build a program thats right for you and provide session ideas if you can’t get to Swimming Women all the time. How much does it cost to join Swimming Women? The cost varies on the number of swims you purchase. The introductory course costs $85. You still have to pay pool entry to the pool for each swim and both Margaret River & Busselton pools have various multi-buy, membership offerings to make it cheaper the more you use the facilities. How will I know if I have used up all my swims? Everyone is signed into each mermaid session attended. From there our Punchpass system automatically keeps track of how many swims you have used, how many you have left and how much time you have left to use them. If you purchase 10 or 50 swims you will automatically receive an e-mail when you have 2 swims remaining and you will be able to purchase more online.